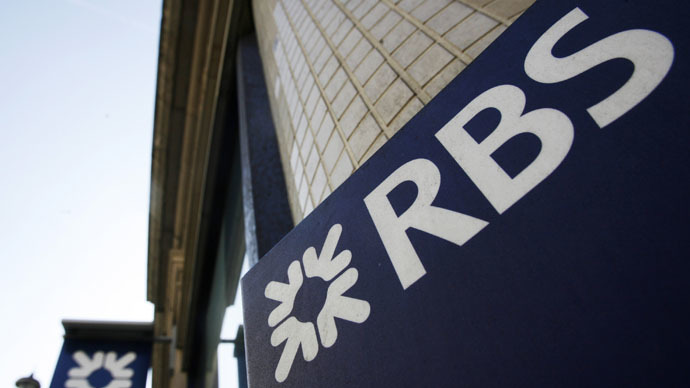 Royal Bank of Scotland has failed to process some 600,000 payments, including disability allowances and tax credits, in the latest tech scandal to hit the state-controlled bank. The seismic blunder is believed to be the result of a computer problem. Customers still awaiting their payments include those of Ulster Bank and NatWest, both of which are managed by RBS. Clients based at RBS’s high-end Coutts bank, where elite figures including the Queen do their banking, were also affected by the error. Tech failures are a sensitive topic for RBS, following an IT meltdown in 2011 which left over 6 million customers without access to their bank accounts. The bank was later fined £56 million and its then-CEO was forced to forgo his annual bonus.It has since doled out millions on upgrading its computer systems. The latest tech scandal to hit RBS first surfaced online after an official spokesperson for the bank tweeted: “Some customer payments are missing this morning – we are investigating this issue as a matter of urgency.” The spokesperson advised customers in need of urgent funds to contact RBS. Customers concerned about their finances took to Twitter to air their fears and anger. Many were worried about vital payments not being made in time. Among these was Johanna Lawson, who told RBS her monthly grocery delivery from Asda was canceled due to her account lacking funds. Another customer, Dr Sharon Connor, complained she didn’t receive her payment from the Department of Work and Pensions (DWP) as expected. An RBS spokeswoman stressed the payments were not missing, but merely delayed. She told the Guardian that the tech issue that caused the delays has been rectified and customers will not lose funds as a result of the error. “We are aware of an issue which has resulted in a delay to payments and direct debits being applied to some customer accounts,” she said. Many British banks are thought to be supported by outmoded computer infrastructure. Lloyds and Nationwide are among UK lenders to have also had tech problems in recent years, with Nationwide’s customers hit with week-long payment delays earlier this week.